Hola from the Suryalila Retreat Centre Kitchen! We are now officially up and running and we have just brought in Eduardo, an excellent new chef who will be running the kitchen while I am away. (I am planning to head back to the States next week to apply for my Spanish visa). It is sad to leave now – just when the retreat center kitchen is happily humming along, and the garden in starting to really take off, and we have all started to find our groove here running a brand new yoga retreat centre… but I also am looking forward to being home and enjoying Spring in NYC with Hannes. In Suryalila, we have been gearing up for our first 3-week long yoga teachers training intensive with almost 30 people, which will start on Sunday. 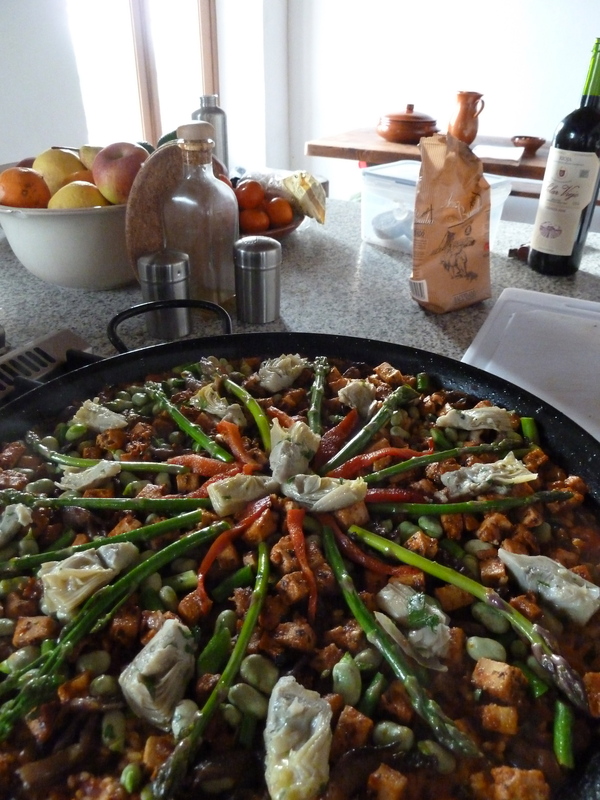 Everything has gone incredibly well here since we opened our doors last month – we have had 3 smaller yoga retreats and a steady stream of regular guests, which has given me exactly 3 Sundays to perfect my Vegetarian Paella technique! 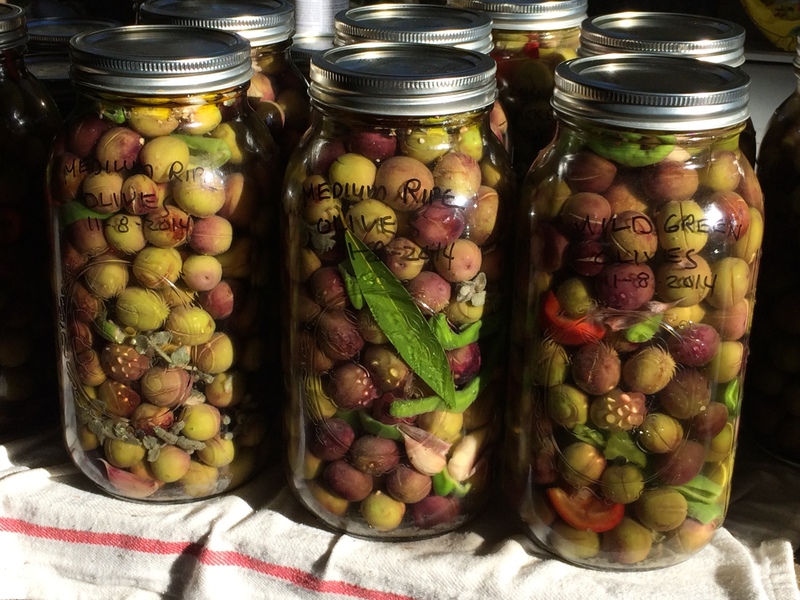 1 cup fresh fava beans, peeled, lightly poached in salted water or broth until their skins split. Fry tofu in olive oil until slightly brown on some sides, add all seasonings and toast on low heat for a minute or two. Let marinade for up to a day at room temperature if possible. 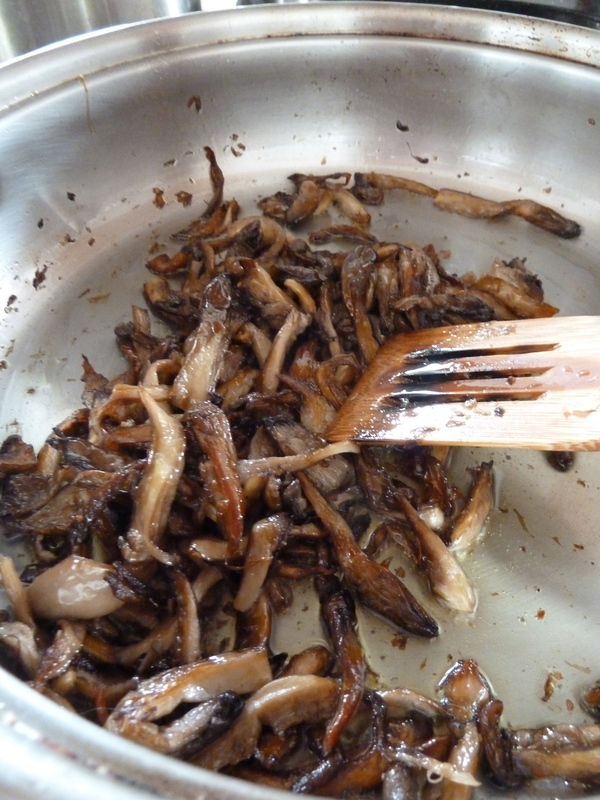 Sauté oyster mushrooms slowly in a non-stick pan with olive oil, salt, pepper and garlic until browned and flavorful on all sides. 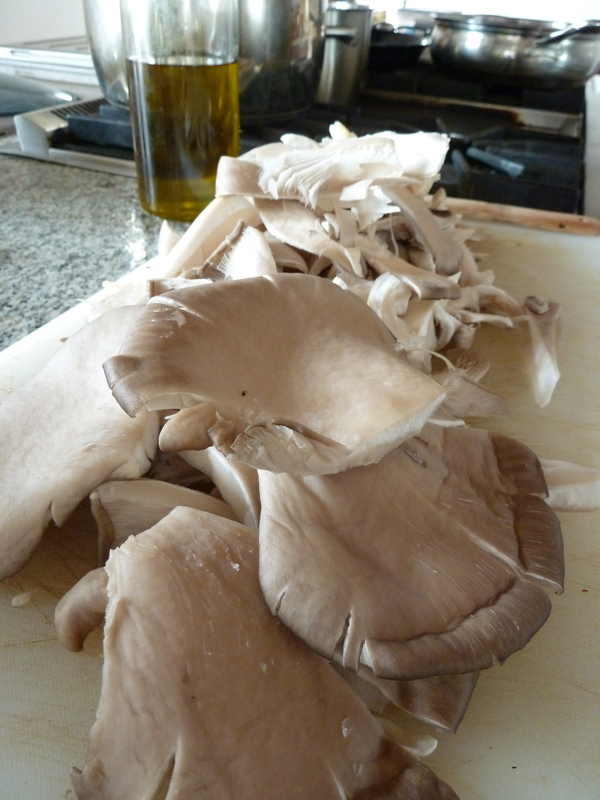 If not using tofu, add paprika and oregano to mushrooms instead of tofu. 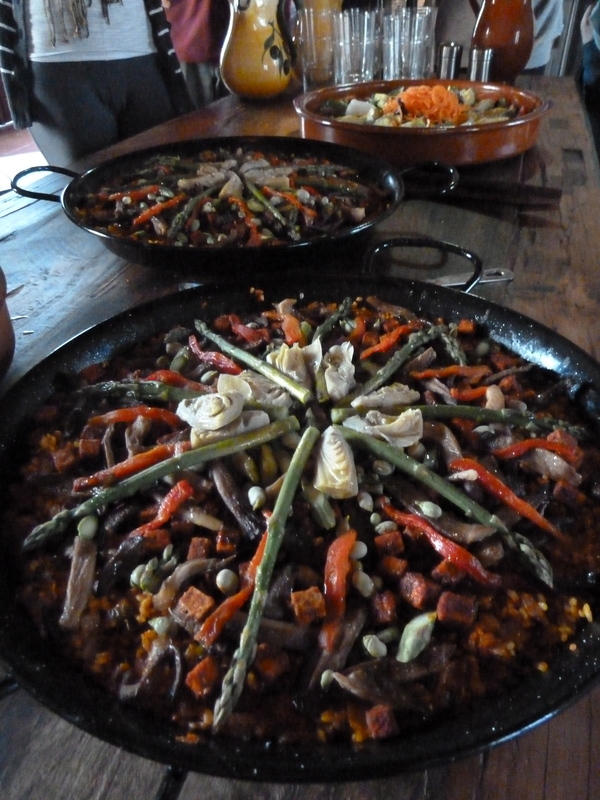 In one medium-sized paella pan or large skillet, saute onions with olive oil and salt until soft. Add garlic, green peppers, finely diced roasted red pepper and saute for 5 or more minutes until soft and onions start to brown. Add chopped parsley and tomatoes to middle of pan and cook n medium flame for another 5 minutes or until the tomatoes start to caramelize slightly. Add dry bomba rice and stir into sofrito until rice is thoroughly hot and just starting to stick to bottom of pan, (about 2 minutes). 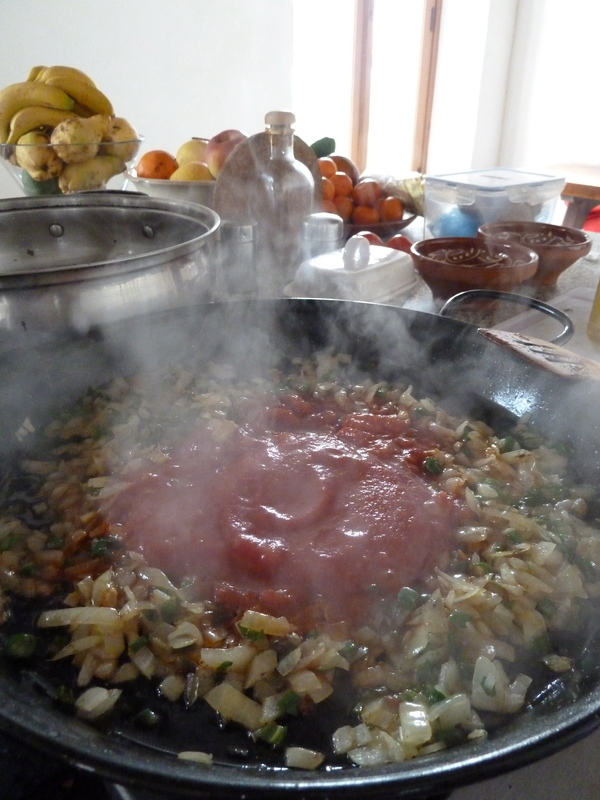 Add hot saffron broth slowly to paella pan, allowing the broth to completely cover the rice. Add mushrooms and tofu and push them gently into rice and broth, without stirring. Shake pan to even out rice level and make sure the liquid just covers everything, adding more if necessary. 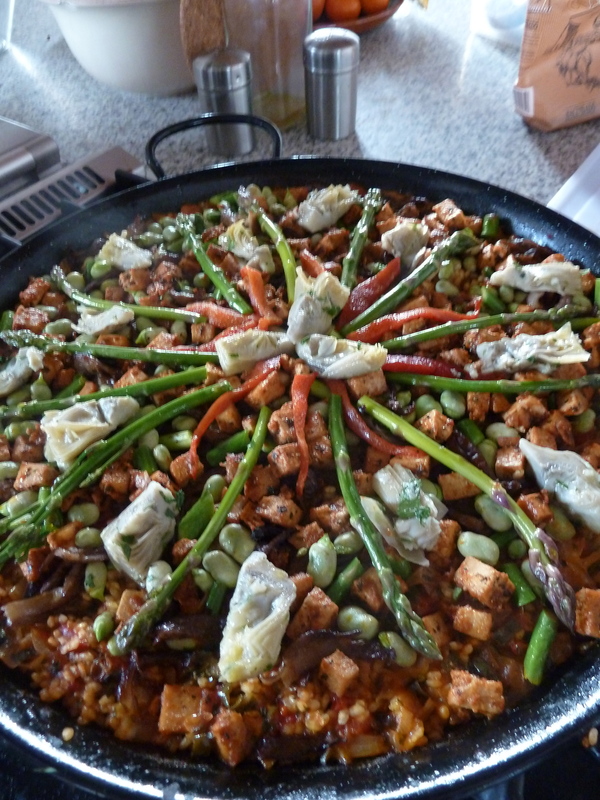 Cover paella pan with foil and allow to cook over a medium flame for about 10 minutes. 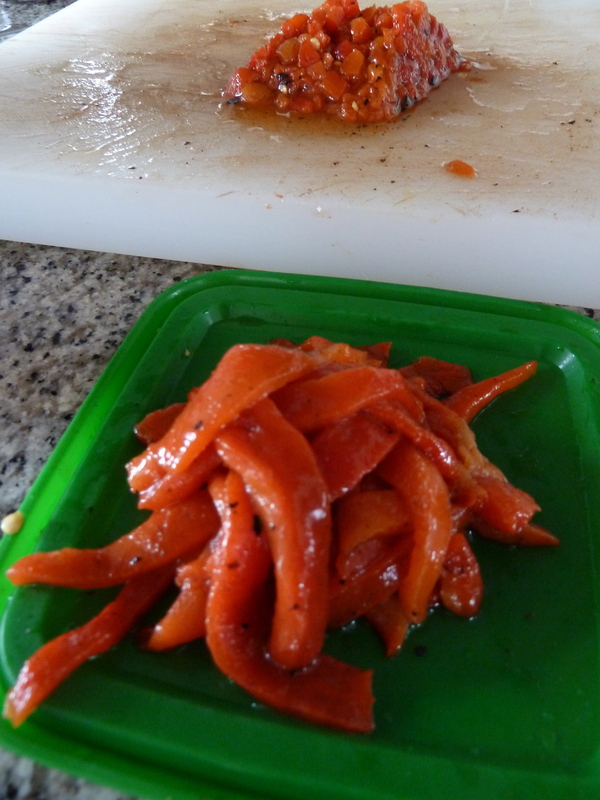 Remove foil and arrange red pepper strips, artichoke hearts, and asparagus spears decoratively on top of rice. Sprinkle fava beans over top, cover again with foil and simmer slowly for another 10 minutes*, or until water is completely absorbed and rice is cooked al dente. Don’t be afraid to add a bit more broth if your paella is starting to get crispy on the bottom but is still not cooked on the top or sides. 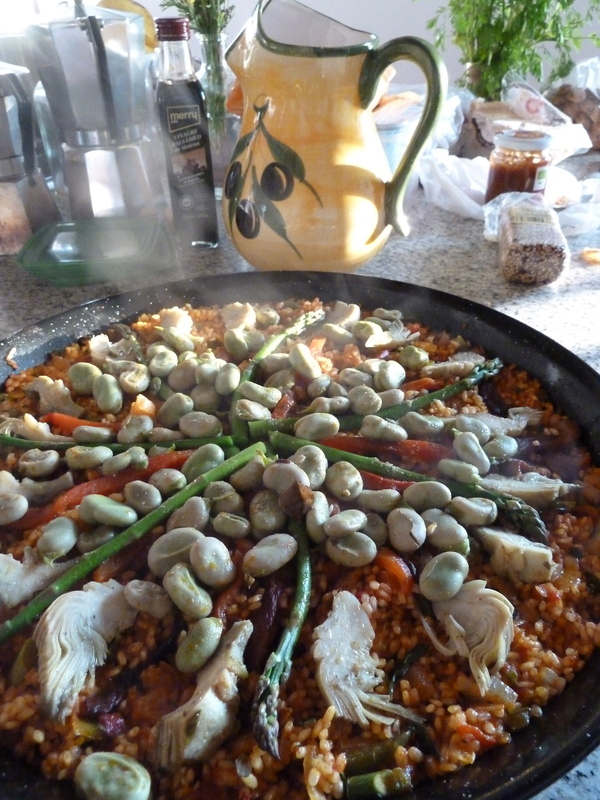 * If your paella pan is much larger than your burner, place it on 2 lit burners for the last 10 minutes, and rotate every minute, so the sides of the pan also get cooked. Stick a fork into the middle of the pan and try the rice to test if it’s done. The bottom should be sticking to the pan a little, and the top should be al dente, but not actually crunchy. Take off heat, remove foil, and serve with lemon wedges. Buon Provencho! How could I say no? 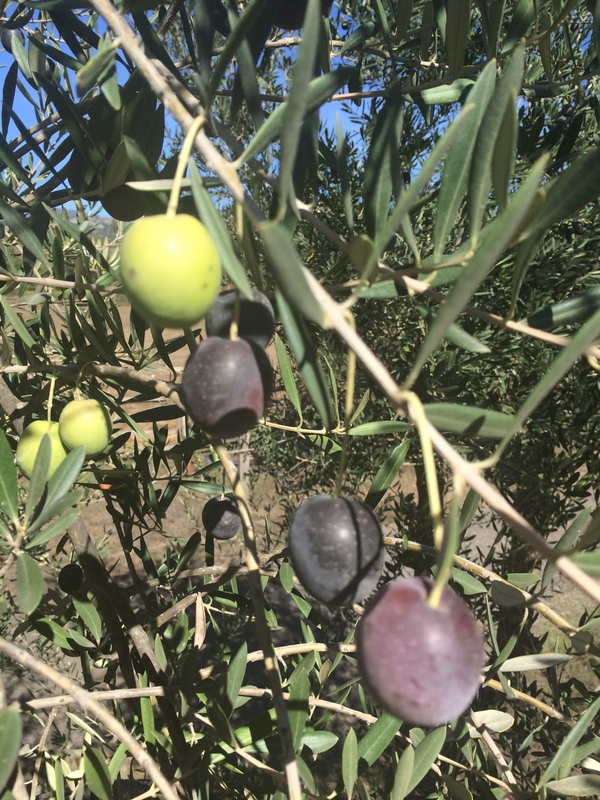 So we walked through the olive orchard (we have 350 trees! 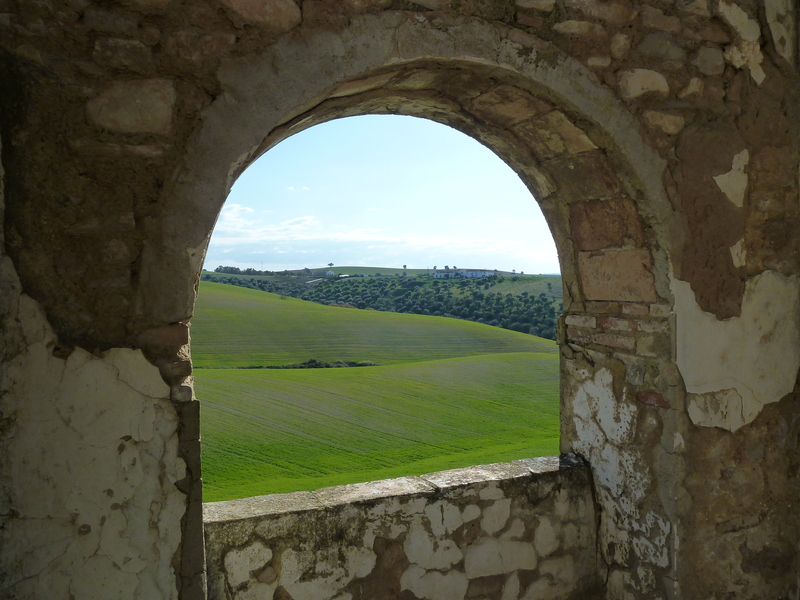 ), over the neighboring wheat fields and to the god-only-knows-how-old crumbling ruin to which I look out upon from my bedroom window each morning. They call it The Convent. 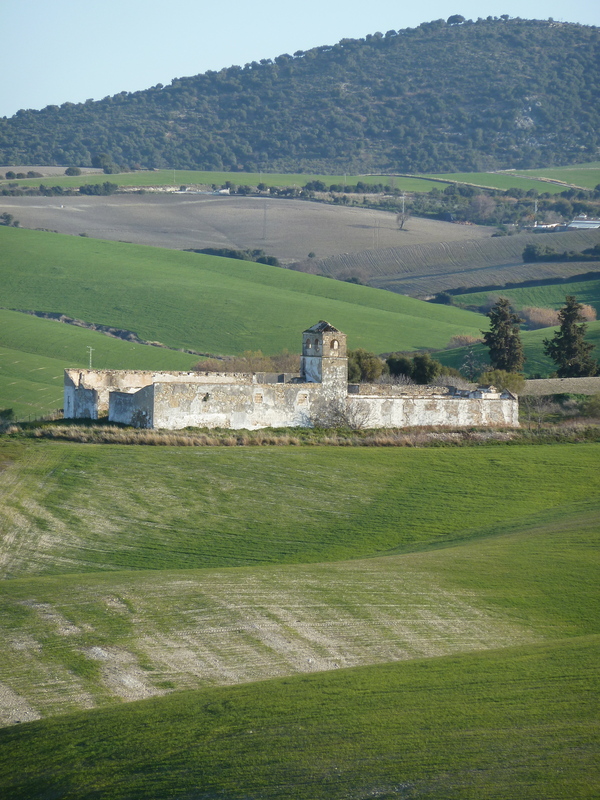 It is huge and roofless, with arched windows in the tower that look out over miles of surrounding countryside, including our property, Villamartin, Prado del Rey, and Arcos de la Frontera, a few the famous Andalusian white villages. 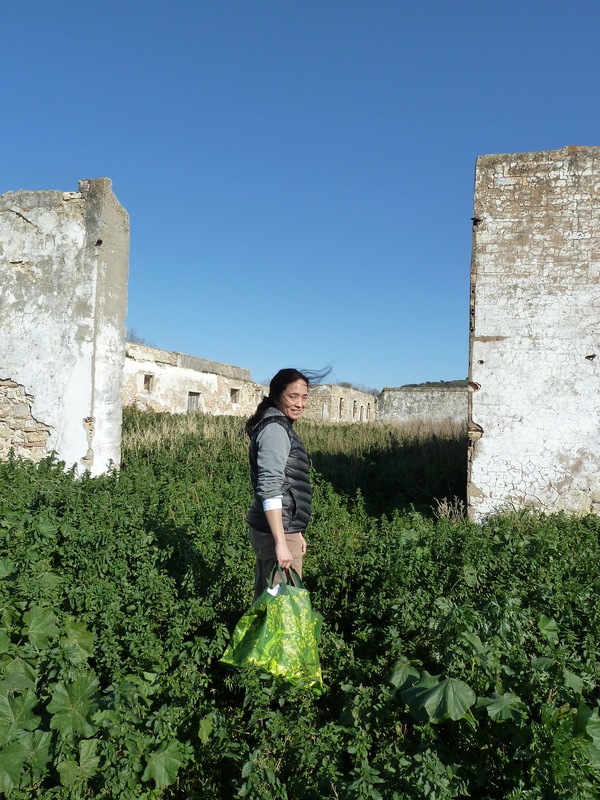 Inside, the entire ruin is completely full of waste-deep dark green stinging nettles! Armed with (almost-thick-enough) gloves, we harvest the lovely, giant, tender nettle leaves from the one shady corner, carefully picking just the leaves. Nettle flowers contain an irritant to the urinary tract, but the leaves and stems are surprisingly rich in protein (up to 25% dry weight) and full of iron, potassium, manganese, calcium, as well as vitamins A and C. Steamed, they are very tasty… like a soft, rich, extra-green tasting spinach. 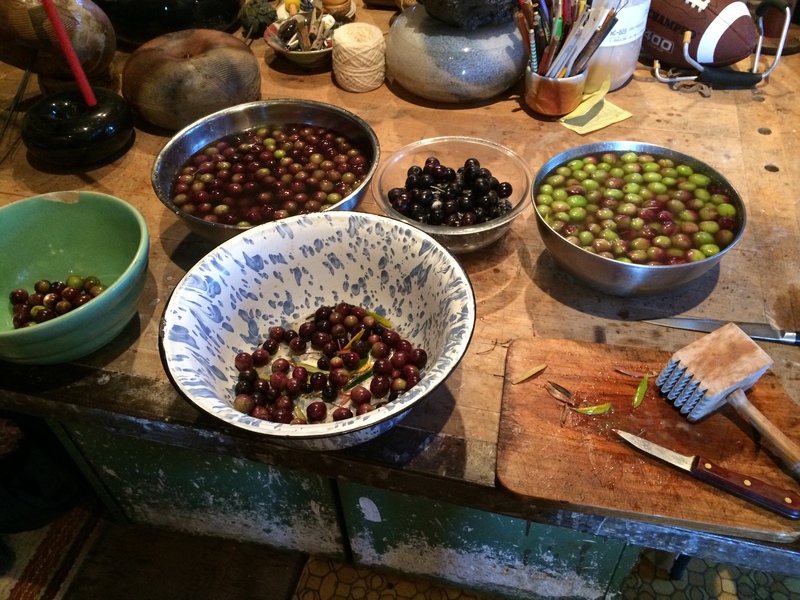 Krishana, who I come to understand is a bit of a celebrity gardener on Martha’s Vineyard, has taken it upon herself to create a giant organic vegetable garden for the Suryalila Retreat Center kitchen. In the two months since I was last here, has miraculously transformed about an acre of what looked to be hopelessly barren, rocky, dry soil into rows and rows of sprouting, peeking, microgreen potential! I mean, we are talking about rows of tatsoi, mizuna, spicy braising mixes, 3 or 4 types of kale, chioggia and bull’s blood beets… (wait – is that even vegetarian?). We are planting huge amounts of crazy gourmet vegetables, flowers, and herbs- some of which I have never worked with so I can’t wait until they all come up! I have to say that Krishana is also the kind of person who is super fun, and who will always be getting you into trouble. 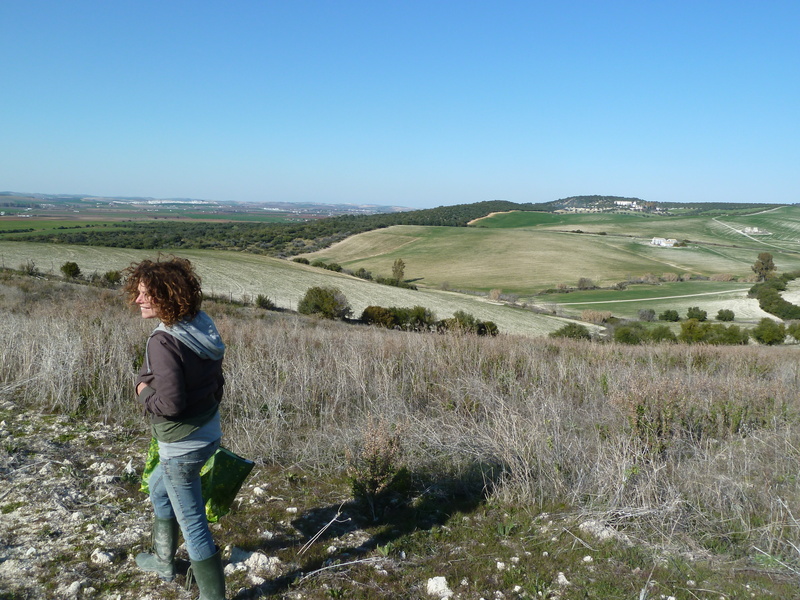 I have known her for two days and already I know this – yesterday we were chased around by the local supermarket police, got almost lost several times trying to find our way back from town, and arrived back and the kitchen at 7pm which is when I should have had dinner finished. And now we are climbing through barbed wire fences to get to the elusive nettle patch when we are probably both supposed to be doing something more responsible… how great is that! So yes, I am finally here in Andalusia Spain! I will be here for 6 months to a year to start, setting up the Suryalila kitchen, cooking, blogging and, I suspect, soon embarking on a crash course in organic gardening. 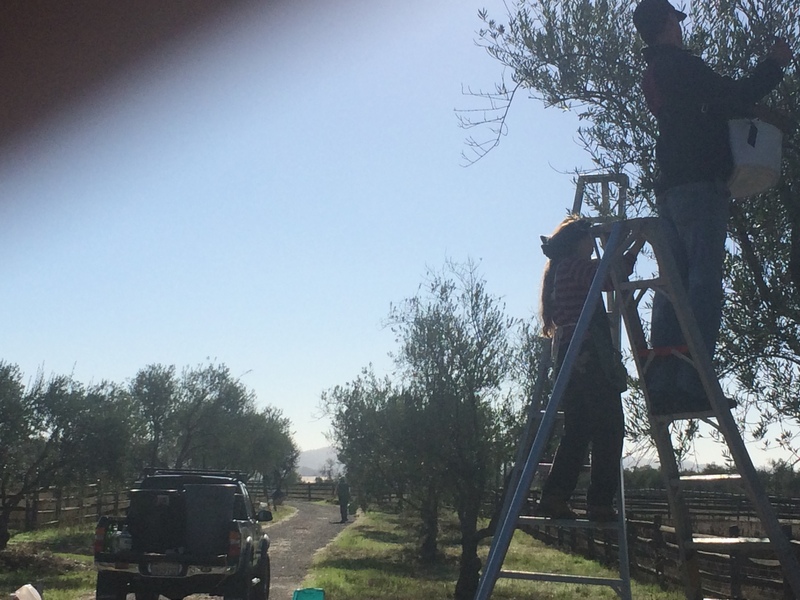 The property already has loads of fruit trees (lemons, tangerines, figs, cherry, peaches, apricots, quince and the Sevilla oranges) not to mention loads of olive trees and some almond trees, which are just starting to blossom. And now Krishana has planted almost an acre of organic vegetables which should take care of most of our veggie needs for most of the year. 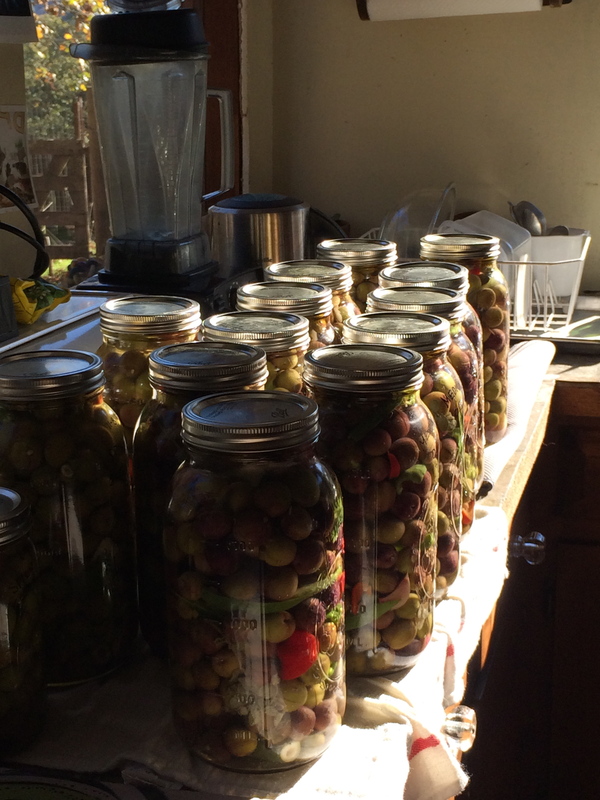 If not… well, there just happens to be an organic farming collective just 15 minutes away. 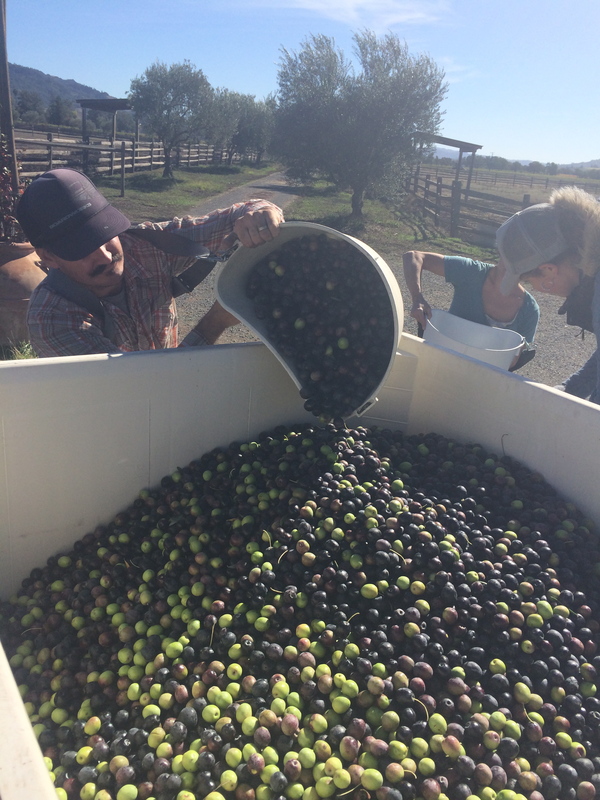 Folks, we are going to eat well this year, so if you have ever harbored any fantasies about roaming the Andalusian countryside, picking oranges and almonds off the trees, drinking good (cheap!) 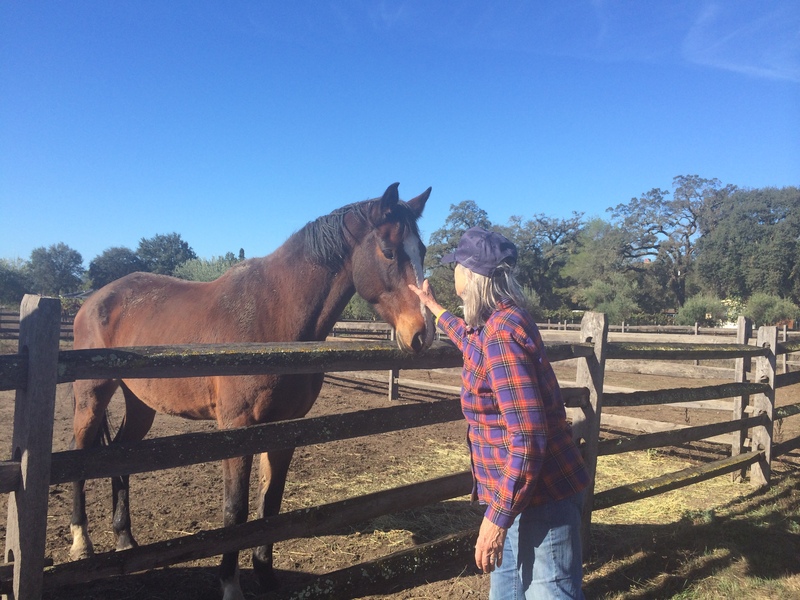 Spanish wine, maybe doing a little yoga or horseback riding…all while enjoying amazingly fresh local organic gourmet cuisine… you might think about coming for a visit to Suryalila while I am here. 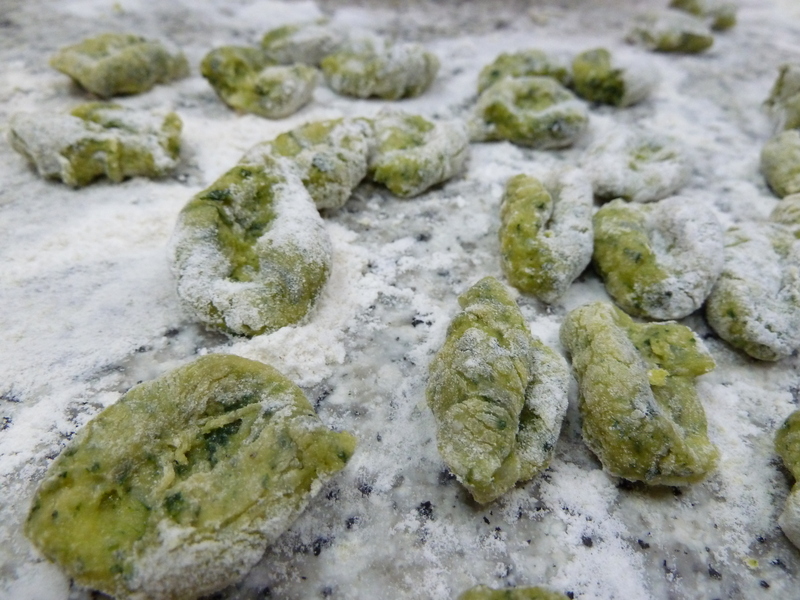 So here is a great potato gnocchi recipe, to which I added the bounty of our our wild nettle harvest, with the result being the most lovely plump little green flecked dumplings you could ever imagine. Delicious and totally worth the work! Blanch the nettles in about an inch of generously salted water. 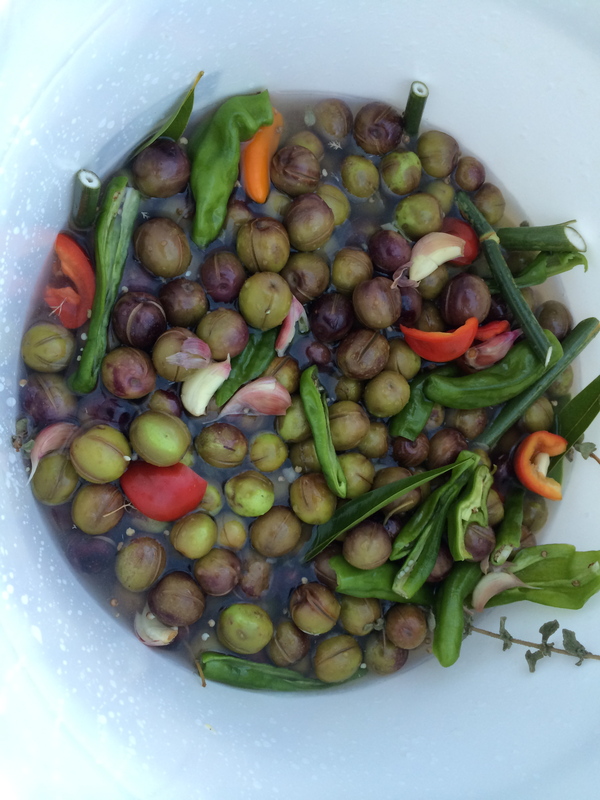 Drain, cool, squeeze dry and chop coarsely. Wash and bake the potatoes on a layer of course salt for 45 minutes or so until very tender, then peel the potatoes while still hot, being careful not to get too much salt into the whites. You can save the salt to use in the next batch. Press the potatoes through a mill or grate, (or mash by hand if you are ok with something a bit more rustic and lumpy – this is what I did and it was great). Taste for salt and add some if they don’t taste like… well, mashed potatoes. I found that after the salt baking and messy peeling process I did not need to add any more salt, but you are probably a neater cook than I am. If the potatoes are still screaming hot, spread out to cool a bit so the yolks don’t cook, then, using a fork, gently work the eggs yolks into the warm but not hot potatoes, cutting them in and keeping it all as fluffy as you can. Dump a couple cups of flour on a worktable, top with your potato mixture and gently work in most of the flour, using your knuckles and hands to gently work and fold it in, (without really kneading it though). 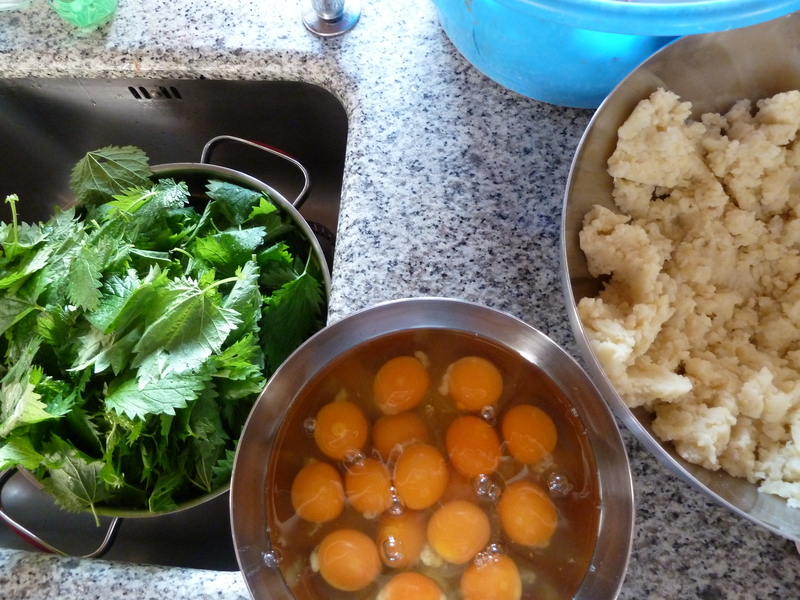 Scatter the chopped nettles over the dough and gently fold in a few times to partially integrate, leaving it a bit flecky. It’s nice to have bits of green here and there. Keep in a single layer on a well floured sheet-pan until ready to cook or freeze. If you are freezing, just put the whole pan in the freezer and bag up the gnocchi when frozen solid. 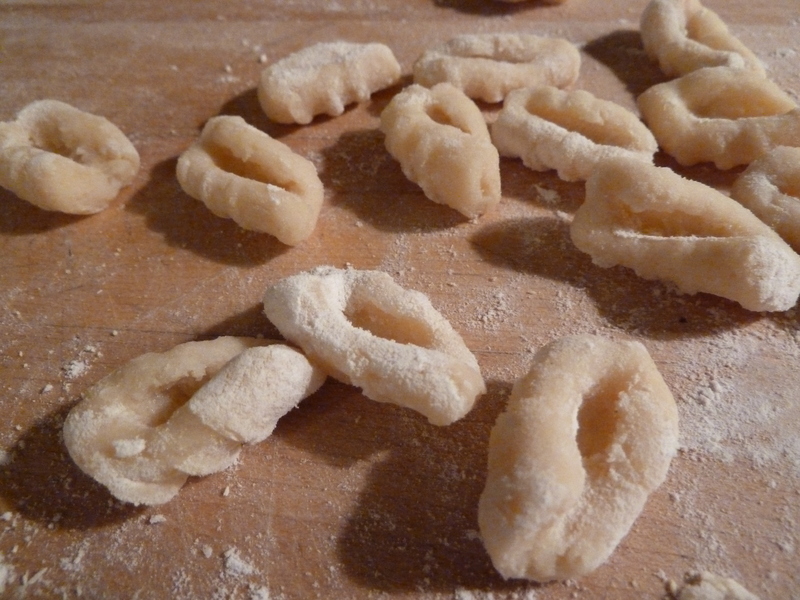 Cook gnocchi in small batches in boiling salted water for 1 -2 minutes after they bob to the surface of the pot. Drain well and toss in a pan with very good olive oil or butter and a little Parmesan, salt, and pepper, or serve with your favorite sauce. Make gnocchi as show above, but don’t worry about overworking the dough… you can’t. These will be a bit more delicate to cook, so its best to keep them in a simple log or pillow shape, rather than rolling them off the fork which makes them want to fall apart. Enjoy! Gnocchi gnocchi gnocchi gnocchi gnocchi…. Besides being really fun to say, and sort of mind-boggling to spell, gnocchi are really super fun to make. And, apparently, you can make them with pretty much anything. This winter, after years of being intimidated by the process but drawn to the allure of these puffy little dumplings, I finally decided to tackle them and pulled out my mom’s old fashioned potato mill from the pantry…. I started with what looked most legitimate – the über fussy potato ones from Nancy Silverton’s gorgeous new Mozza Cookbook. Because I am incapable of following a recipe verbatim, (even my own), and because I wanted to try making them using white whole wheat flour instead of white all-purpose, I second-guessed the recipe and added about 1/2 cup less flour than she calls for. 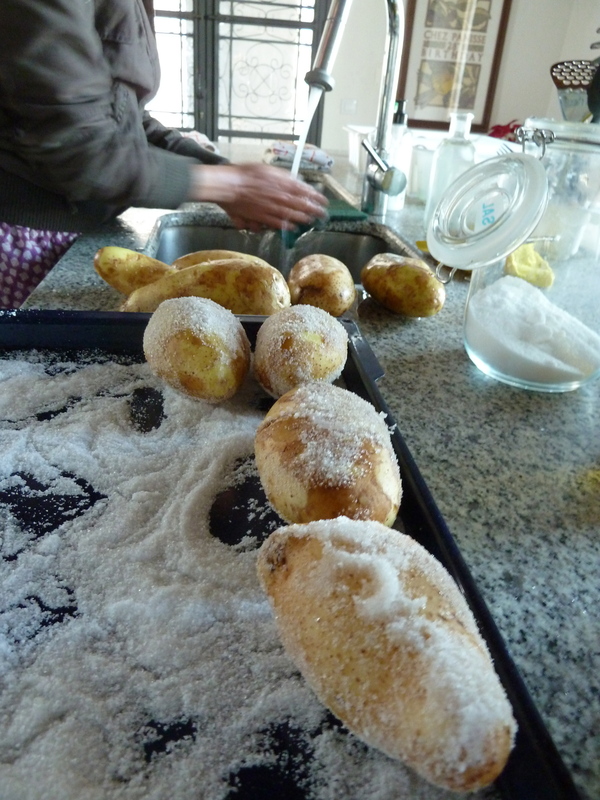 They were incredibly delicious – maybe one of the the most delicious potato things I have ever put in my mouth. But they were also almost too delicate, and could have used more flour in them for a bit more bite…(probably exactly what the recipe called for). Making potato gnocchi is really a project and the Mozza recipes are great – very detailed and wonderfully specific – so rather than trying to re-post my only slightly modified version of that recipe*, I am going to recommend that you get that book, which is loaded with other inspiring veggie recipes, and devote an entire Saturday afternoon to the Potato Gnocchi Gods as I did. It’s wonderfully satisfying. On the other end of the spectrum – for everyday life – there is ricotta gnocchi, which are so ridiculously quick and non-fussy to make that a dinner for two can be pulled together in about 30 minutes. Probably less. These are really a different creature than the potato ones, even if they look the same. Whipping these off the fork last night with the help of a somewhat ambivalent 12 year old was a whole different dimension from the Saturday mega-project, which was a dedication to art and love. The ricotta dough is definitely less silky and refined, and these gnocchi of course will not give you the Sublime Potato Experience (if you are prone to that sort of thing). Nonetheless, they are possibly even more fun to make because they can be made so easily and spontaneously, and they are unpretentious enough to really be dressed up with any funky old sauce, or none at all. They are amazingly tasty just as they are. In a medium sized bowl, combine ricotta, eggs, 1 cup Parmesan cheese, nutmeg salt and pepper. Still to combine thoroughly. Add flour and mix lightly to combine. Dough will be very soft. Dump out onto well floured board, turn over and fold over very gently a few times just to fully integrate dough. Separate into two balls and, taking turns, shape and flatten each one into a 1 inch thick rectangle. Using a clean knife, cut 1 inch strips from this and gently, on a well floured board, roll each one out into a 1/2 inch thick rope of dough. 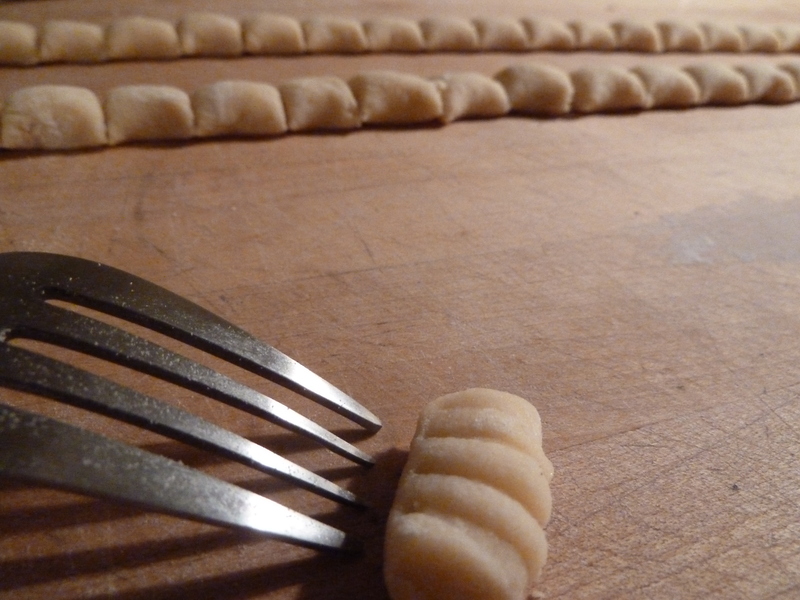 Cut the rope into 1 inch “pillows” and, using your thumb on the back of a fork, gently roll each gnocchi off the fork tines, creating ridges on one side and a bit of an indentation on your thumb side. Don’t be afraid to be liberal with the flour. Or, you can just forget the fancy fork thing and do some rustic “loggy” ones or whatever you like. Try some fishes! Just make batches in relatively all the same size so that they will cook at the same time. 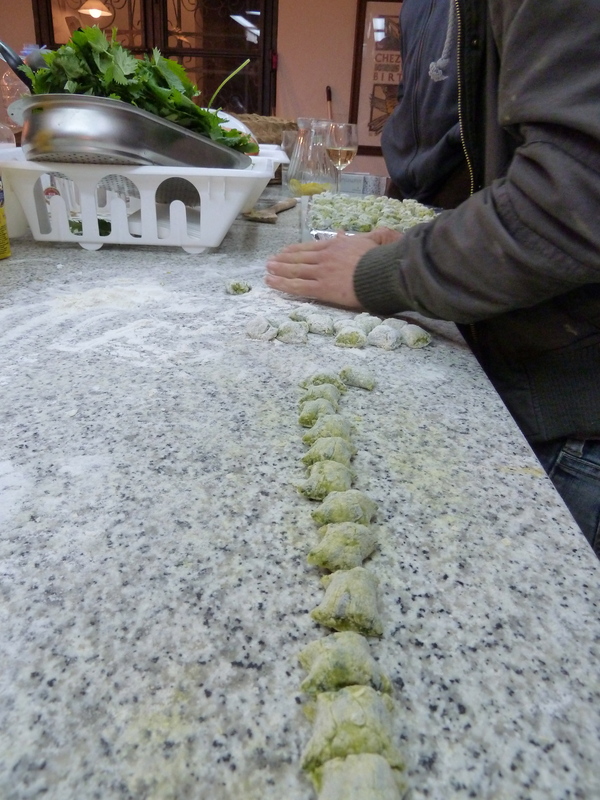 Repeat shaping the remaining gnocchi, dropping the finished ones on a floured baking sheet in a single layer. These can be frozen like this, to be bagged up after they freeze or cooked immediately. 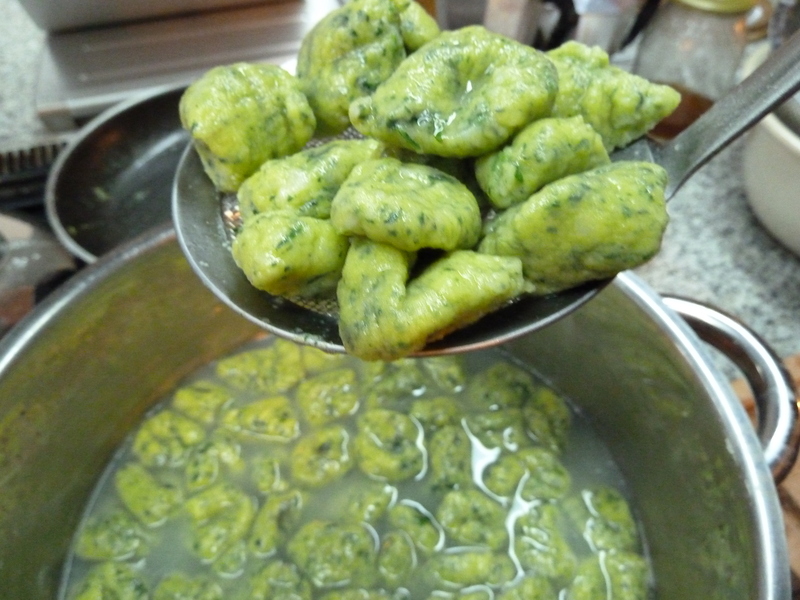 In a well seasoned or non-stick skillet, heat butter, olive oil and minced herbs gently while you cook the gnocchi. Keep on low-med heat so the herbs get a little crunchy, but do not burn. To cook, bring a medium sized pan of salted water to a boil. (The rule for fantastic pasta of any kind is to make the water as salty as the ocean, and to use high quality grey, sea, or Himalayan salt to do this with. Trust me, it’s worth it). 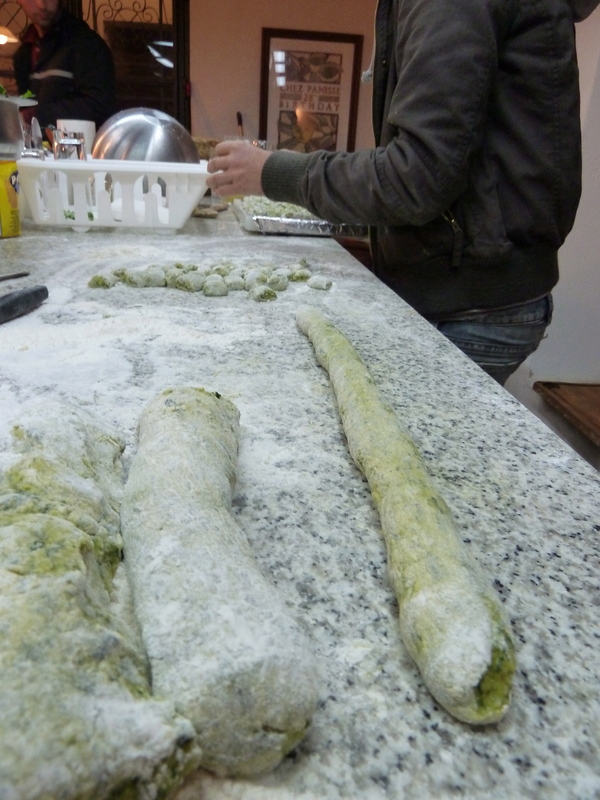 Cook the gnocchi in 2 – 4 batches at a time, for only about 2 – 3 minutes after they float to the surface. Alternately, you can skip the cooking and try just pan frying them, but I found them a bit lighter if you boil them first. Drain with a slotted spoon or strainer, adding all the cooked gnocchi to your skillet before tossing quickly and giving a slight reheat in the herb-butter. Finish with a touch of coarse salt, freshly ground black pepper, and parsley, and top each serving with a bit of grated Parmesan. 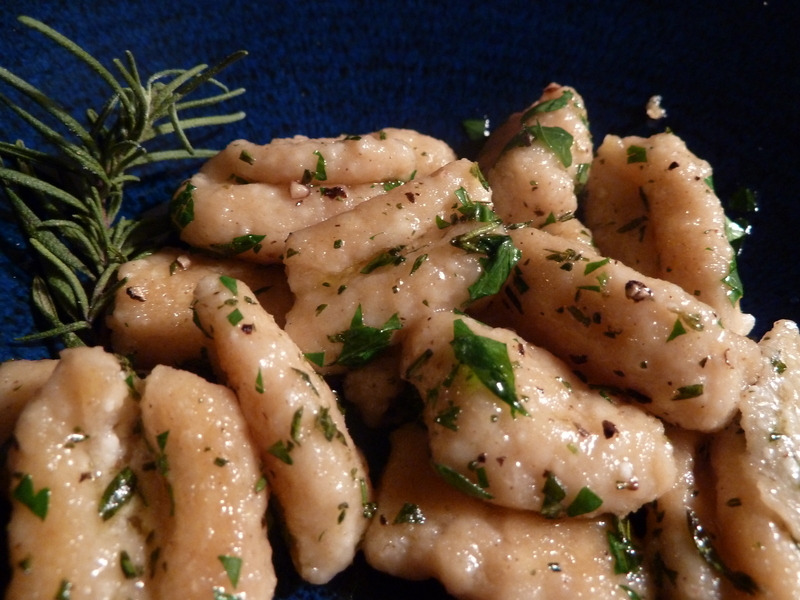 *The white whole wheat flour works surprisingly well in gnocchi! Substitute 1:1 for all purpose in the recipes. It’s delicate and just slightly nutty which works great with the butter sauce, and you know…if you didn’t know, you wouldn’t know.